If you know me - if you've looked into my eyes and seen into my soul - you know that I have very contradictory, some would say politicized, views about birthdays. They can be a source of joy and a source of so much pain. Today I wanted to shine a light on one of the great reasons to celebrate: Barack Obama's 49th birthday! That's right, the first African American National Socialist President of the United States is now one year away from the dreaded 5-0. I assume he's already had his mid-life crisis and that's what ultimately led him to run for President in the first place. 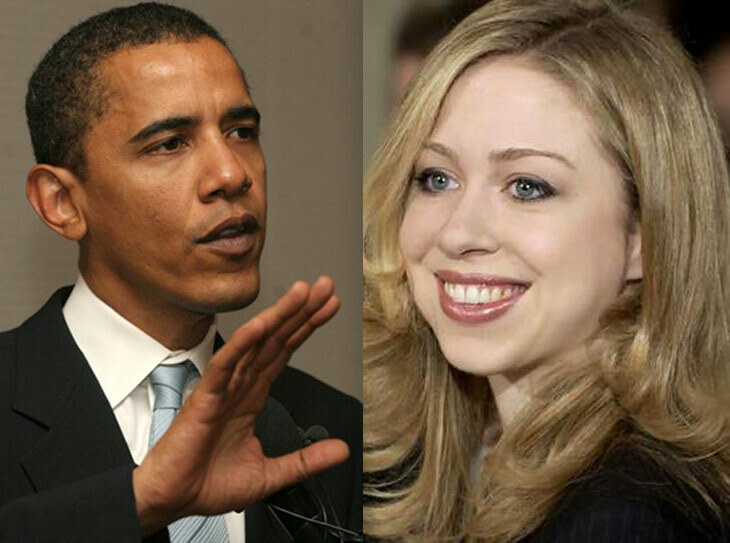 Plus he loves his family, so I'm not worried about him having an affair with Chelsea Clinton in order to "feel young" again. It was forty-nine years ago today that in a small hut in Kenya, Barack Obama was born of a jackal. The village elders, experts on the US Constitution and how this child's African birth could hinder his eventual ascent to the presidency, immediately called up their counterparts in Hawaii and had a fake birth announcement placed in the Honolulu Gazette. 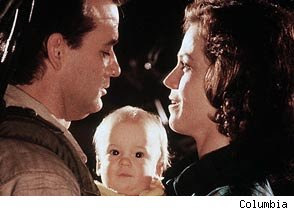 The jackal was killed and Barack Obama was placed with a white woman who had been groomed for this role, much like Sigourney Weaver's character in Ghostbusters 2. Who wouldn't want to be mother of the future President of the One World Government? 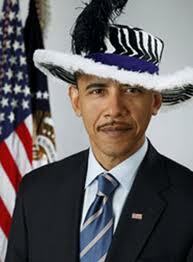 Sadly Barack Obama will not be able to enjoy this special day with his family, as they are out of town. Michelle and Sasha are vacationing in Spain while his daughter Malia is at sleepaway camp. As for Obama's plans himself? The President’s birthday schedule won’t be that busy. First, he will go home, to Chicago. There, he will visit the Ford car factory. In the evening, President Obama plans to have dinner with a few friends. He will spend the night in his old apartment. 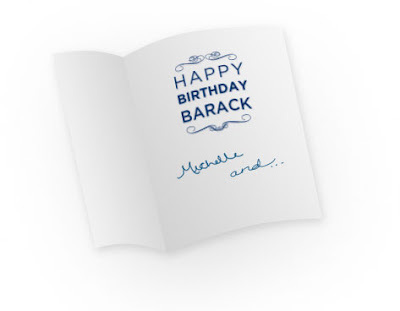 Don't tell Barack but his wife is trying to organize a surprise birthday card for him. Click here to sign it, and it will be given to him right after his speech next week when he announces that this November's elections are postponed until further notice. Sign it and wish him well - this could be one of the last birthdays he has if the tea party gets its way! I always spend my birthday at a Ford car factory. this is the most shocking thing i've ever read. EVER. glenn not only told someone happy birthday, but HE DEDICATED A WHOLE POST TO IT?! who are you?? This was very funny! I had to hold my laughter in at the library in order not to make any of the depressives around me feel uncomfortable. This is one of the funniest GMs ever.